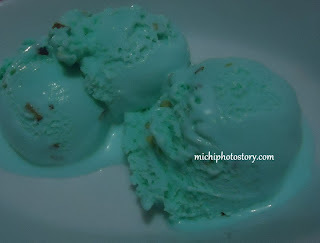 I never knew about Blue Bunny Ice Cream till I became S&R member. I always see this in S&R fridge but I was having second thought if I will try it or not since I’m not familiar with the brand. Well, Blue Bunny is an international brand of ice cream. It is made in Le Mars, Iowa which is known as “The Ice Cream Capital of the World”. This ice cream is cheaper compared to other international brand of ice cream but it is still expensive if we compared it to our local brand. 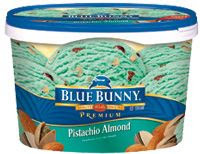 Last month, we bought Blue Bunny Premium Pistachio Almond; it was on sale for P259.95. My husband loves this, for me the taste is just ok and my son dislikes it. Then last Saturday we tried new flavor which is Ice Cream Cookie Creations White Chocolate Macadamia Nut. 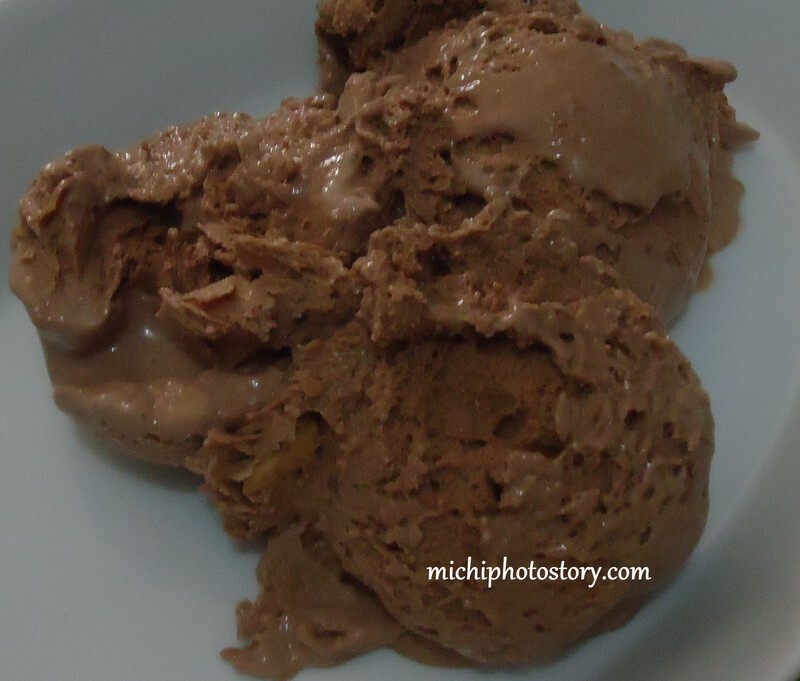 It is a little bit sweet but it was an instant hit to our family. 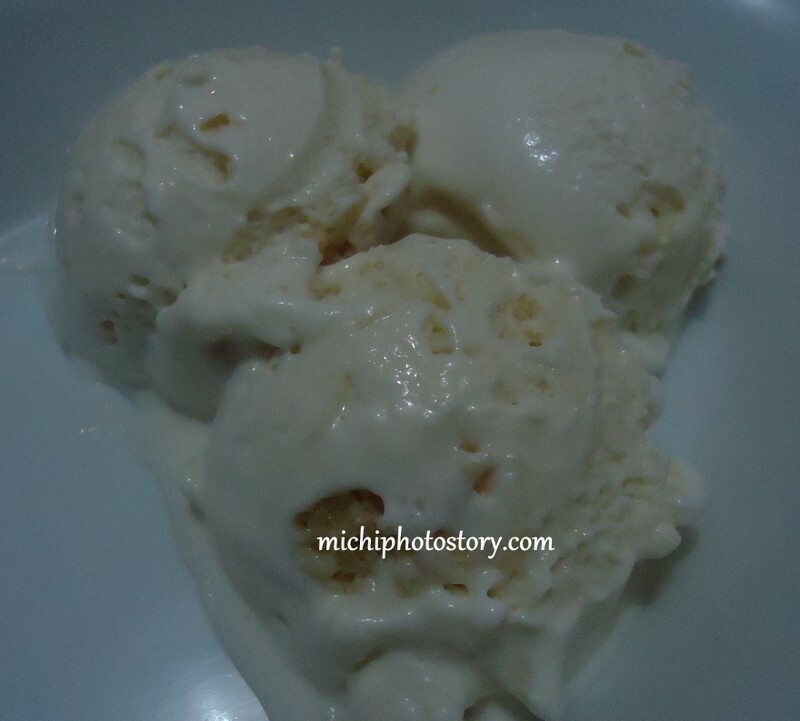 You can really taste the chunk of white chocolate and macadamia nut cookie. 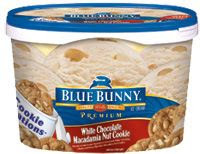 It is now my goal to try other Blue Bunny ice cream if it is on sale. 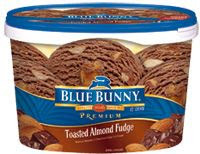 We bought Blue Bunny Toasted Almond Fudge last weekend; it was on sale because of the Early Bird Member’s Treat. Among the three, this is now my favorite flavor so far. I love the creamy taste of chocolate ice cream plus the crunchy toasted almond. But my husband prefers pistachio. Since year 2009 I regularly visit my grandmother in Victoria, Laguna to give her monthly allowance from my mom and to help her with her errands, this includes our trip in the grocery. She lives in the province so the grocery and wet market are too far from her house. Taxis are not available so it is difficult for her to commute and of course she is not that strong to carry all the shopping bags. I’m not complaining but I wish that parentgiving.com is available here in the Philippines because this is a great help to all adults, seniors and even caregivers. Parentgiving is a comprehensive website that offers thousands of products such as bed and bath safety products, practical tools, medical and healthcare supplies and other stuff that elderly needs at home. Even overnight adult diaper is available, you can check the website to see MoliCare Super Plus sample. 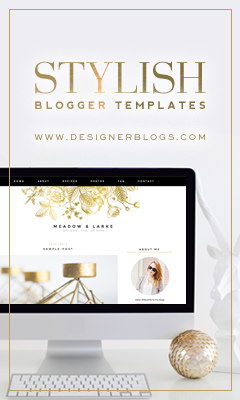 The site is user friendly, customer can place their order online and most of the orders are ship within 24 hours and generally arrives in 1-5 business days. 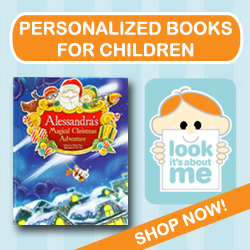 Parentgiving can ship in 48 US states except Alaska, Hawaii and any international destinations. Parentgiving site will benefit all seniors who have limited mobility and even those people who want to be independent. If you want more information about the products, how to order or shipping, do not hesitate to go to the website. I love shrimp but I only have few shrimp recipes so when I saw this recipe in one of the “Spoon” episode I immediately tried it. 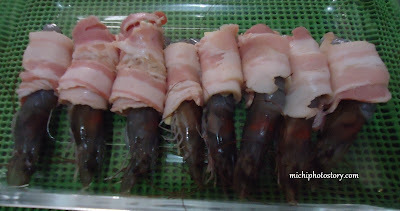 They use an expensive ham and goat cheese and I only have bacon and cheddar cheese but it didn’t stop me so I’ve made my own version, “Shrimp Wrapped in Bacon”. 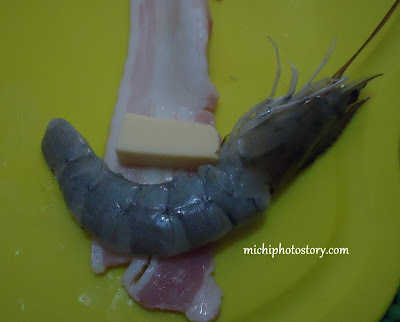 1.Remove the shell of the shrimp. Season with salt and pepper. Wrapped the shrimp and cheese in bacon. 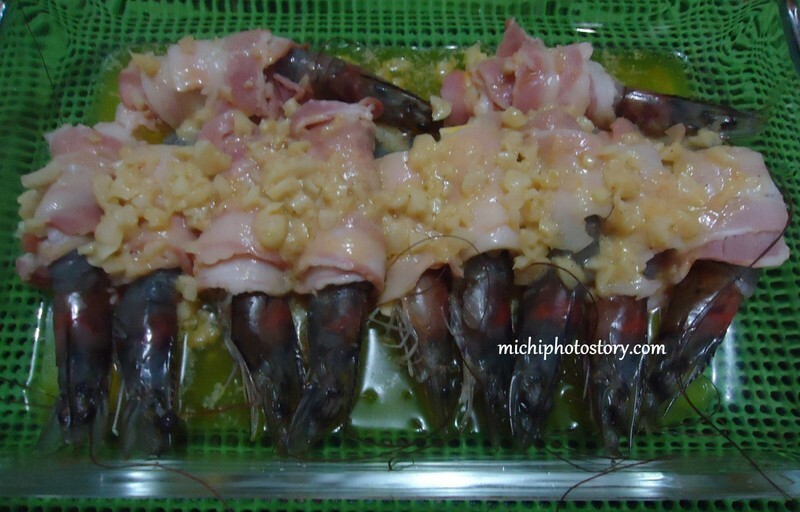 3.Pour the butter and garlic mixture over the shrimp and bacon. 4.Bake for 10 to 15 minutes at 425F or until shrimp and bacon is cook. If you’ve read my “What’s in Mom’s Bag?” post, you already knew that I’m not a light packer so it is really a challenge to pack for a six days trip. Last month we went to Hongkong and Macau with one 20 kilos luggage and one hand carry luggage, imagine my dilemma in packing. But thank God for this luggage organizer because it helped me big time in packing our stuff. 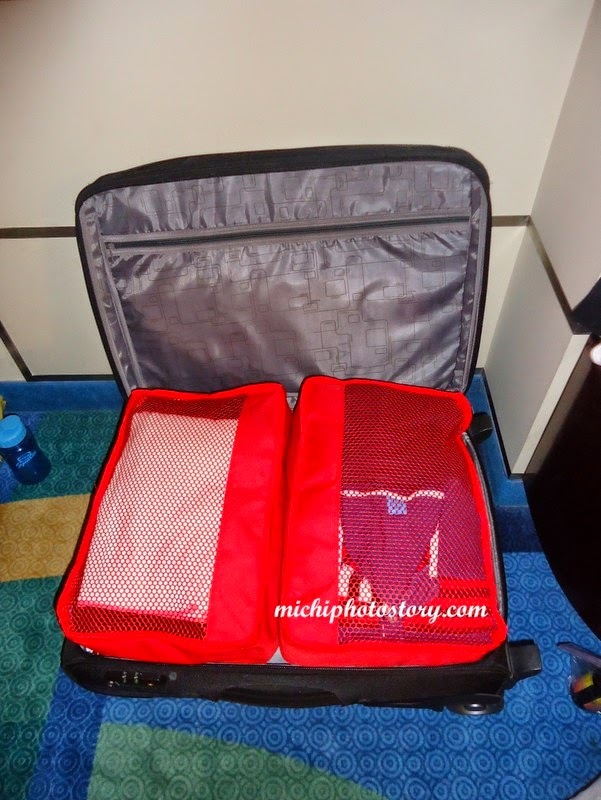 It is indeed very useful and it made our luggage very organized. I bought this in Heat Wave Summer Bazaar. 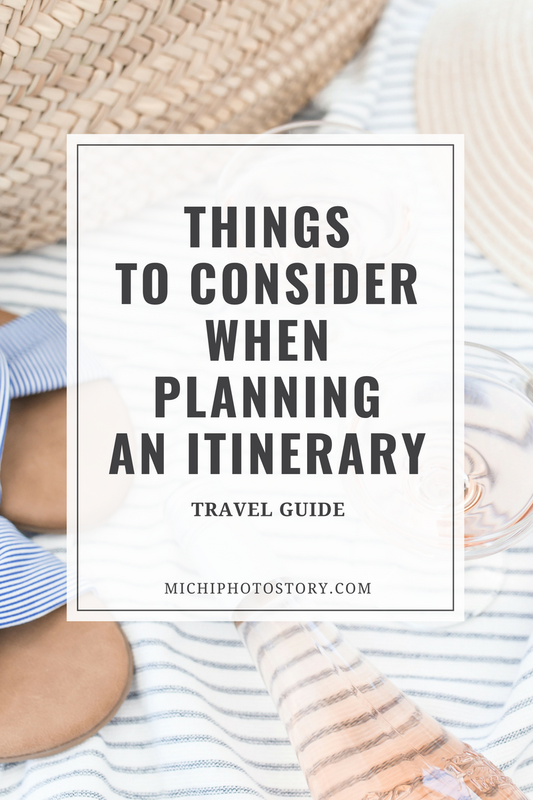 Travel itinerary is something personal because you have to plan and decide according to your preference, lifestyle, and budget. We always travel as a family so expect that our trip is kids-friendly. I’m not a shopaholic so shopping is not included in my itinerary. 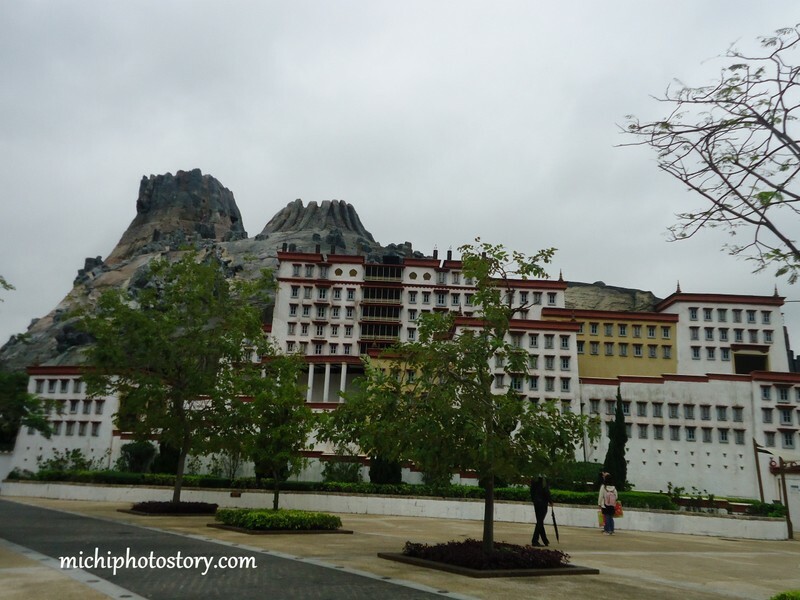 I am a budget traveler so most of the time we stayed in a hostel and guesthouses but there are times that we splurged too and try high-end resort and hotels. 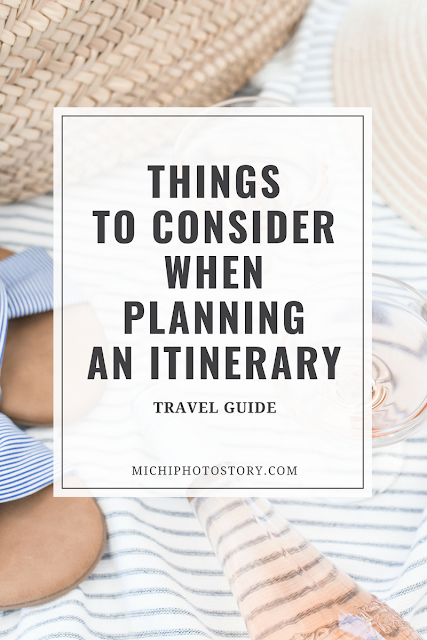 Planning an itinerary is not easy especially if you have limited time but let me share with you the things that I consider when I’m planning our itinerary. Every time I plan an itinerary. 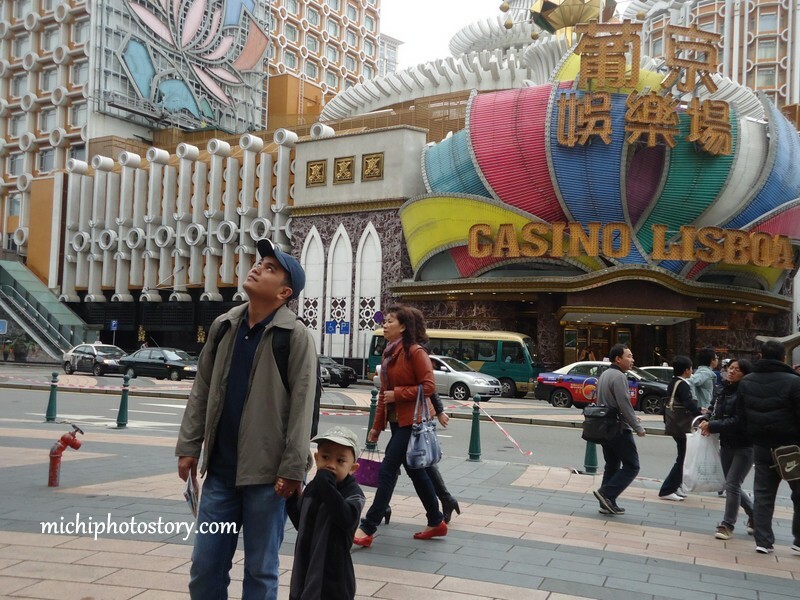 I have to consider seven things; Place, Days, Budget, Tourist Spots, Accommodation, Directions and Weather. Of course, I have to know which place we are going. Is it domestic or international trip? Do I need a visa or not? I have to check different airlines where we can score cheap airfare. If we need a visa, I need to prepare all the requirements and schedule an appointment at the embassy or accredited travel agency. What is the location of the place? Is there a possibility that I can do some side trips? 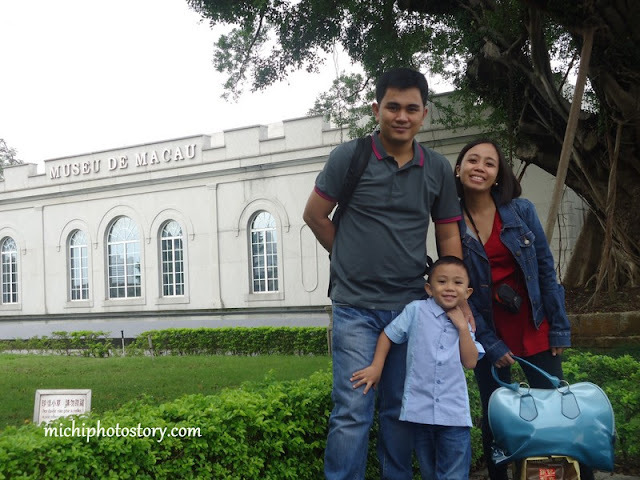 Bacolod – Iloilo, and Guimaras. 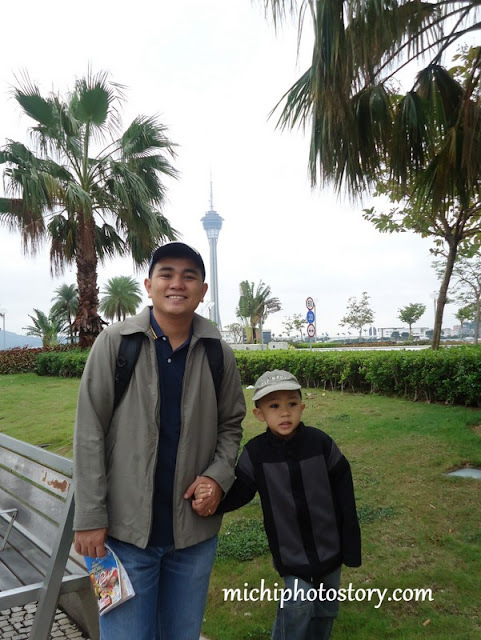 It is very important to know how many days do I have to enjoy the place because if I have limited time I can’t do side trips and I will just stick in one place just like our Kota Kinabalu and Cebu trip. 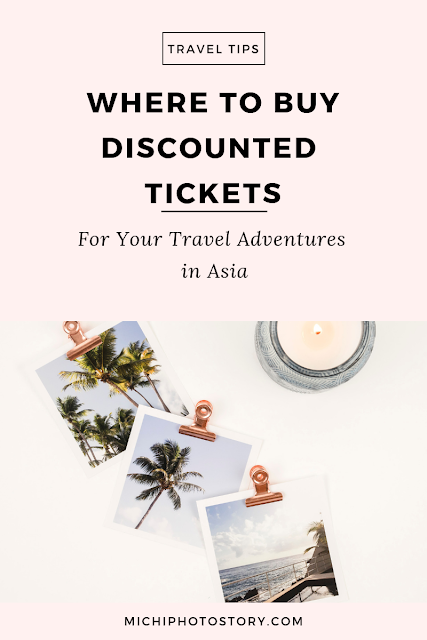 I have very limited time so no side trip in Brunei and no side trip in Bohol. As a budget traveler, as much as possible I do stick on a budget. I try my best to save at the same time enjoy our trips. 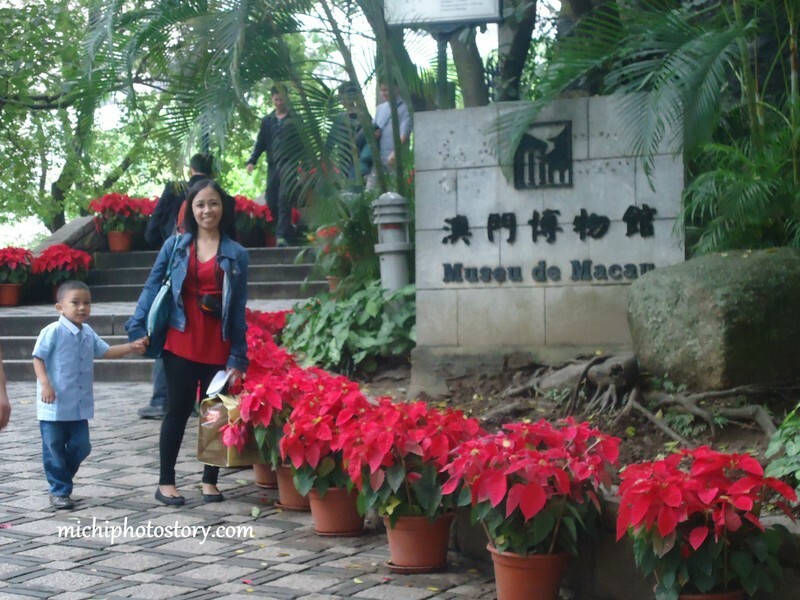 I have to note if one tourist spot has no entrance fee or how much is the entrance fee. 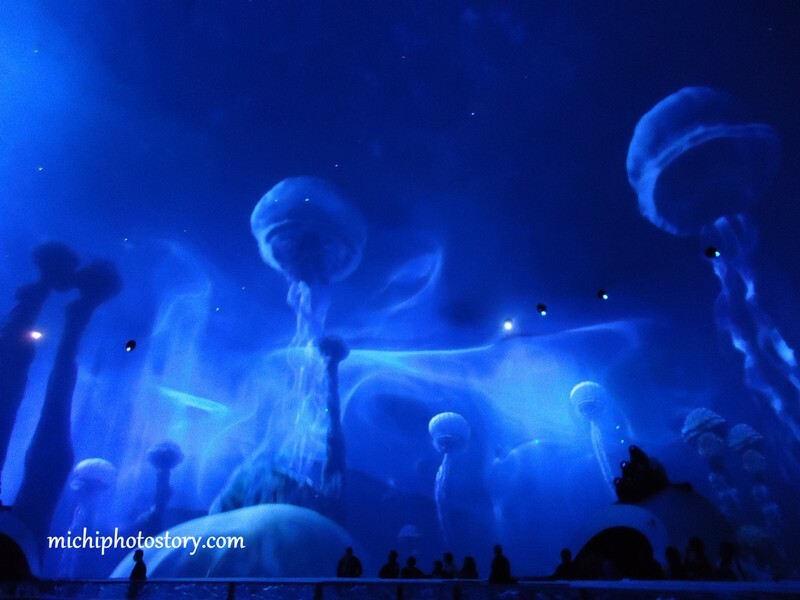 I always list down popular destinations, attractions and even must-try restaurants then I will choose. 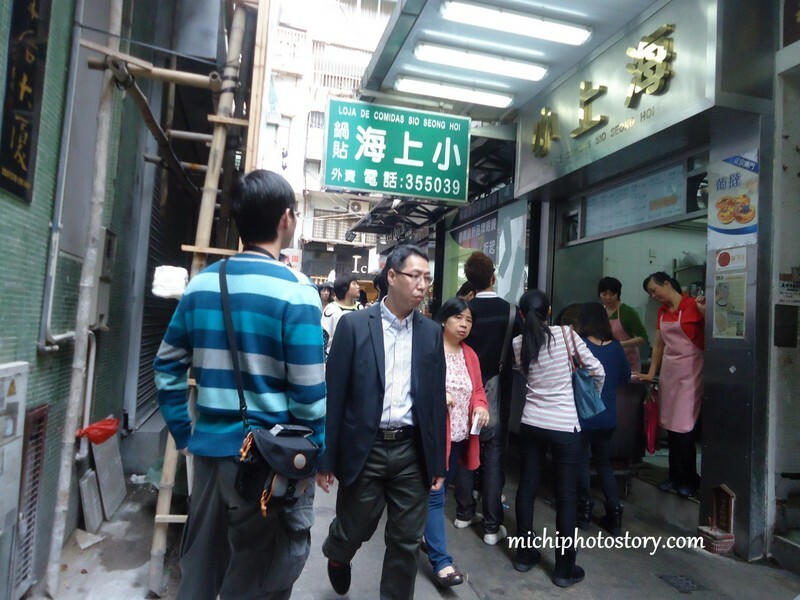 For example in Hongkong, here are the popular tourist spots that I can visit. Since I only have four days to enjoy Hongkong, I chose Disneyland, Ngong Ping Village, Avenues of Stars, The Peak, HarbourCity, Nan Lian Garden and Chi Lin Nunnery. Then I will decide which tourist spot is for Day 1, Day 2, Day 3 and so forth. Day 2: Nan Lian Garden, Ngong Ping Village and CityGate Outlet. Depending on my budget, I will look for a hostel, hotels or guesthouses. I have to consider the location of the accommodation. As much as possible, I chose a hotel that is accessible to different transportation so commuting won't be a problem. 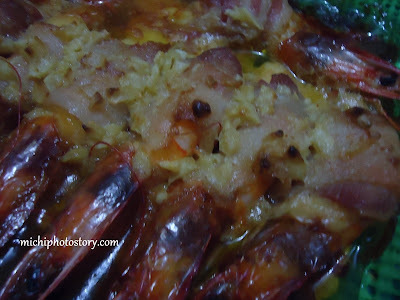 Since hotel foods are expensive, it is important that there are restaurants or fastfoods in the area. 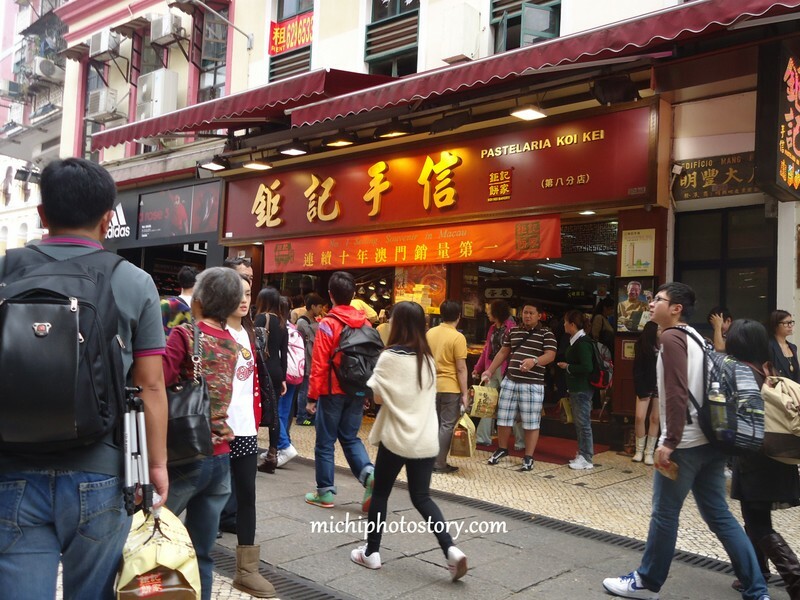 Yiu Fai Guesthouse – I chose this because it is walking distance from 1881 Heritage, Clock Tower Avenue of Stars and MTR. 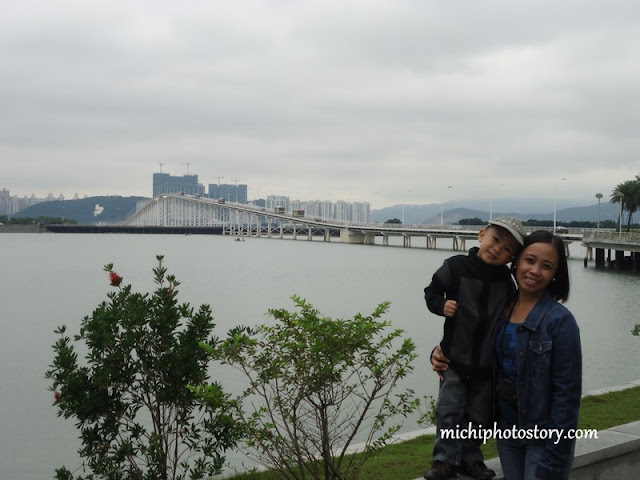 It is near MTR so it is not difficult to go to Nan Lian Garden and Ngong Ping Village. Lastly, it is affordable too. 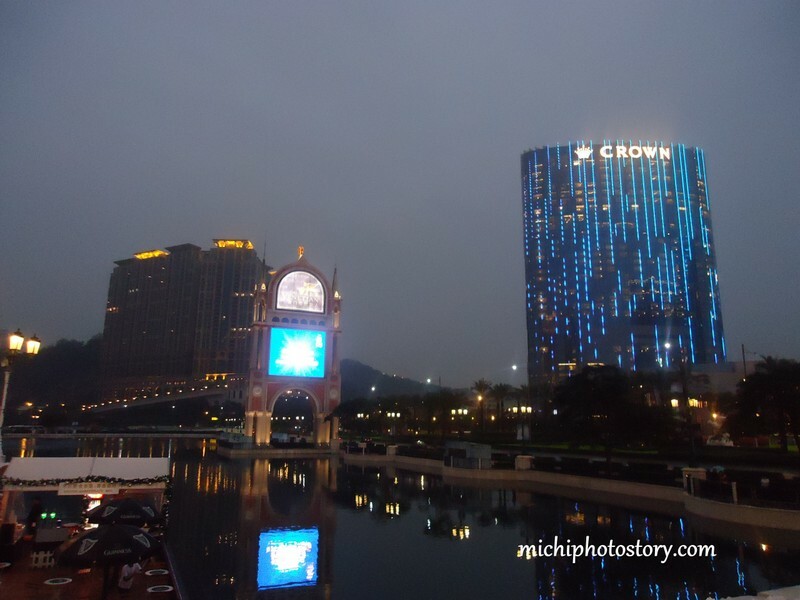 Hollywood Hotel – though this is expensive, we still reserve a room for experience and proximity to Hongkong Disneyland Resort. I search for maps so I know how can I go to a guesthouse, hotel, tourist spots and others. 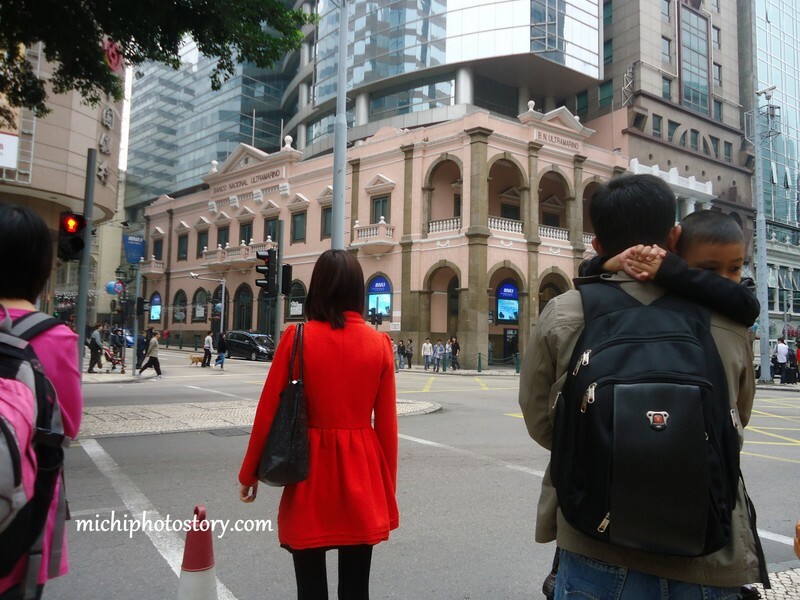 What is the cheaper way to get there, MTR, Taxi or hire a car or van? Of course, don't forget to check the weather, is it winter, spring, summer or fall. You have to pack the right clothes and gear that you need to survive the weather during your trip. Don't forget to pack vitamins, medicines and even first aid kit. Hope this helps. 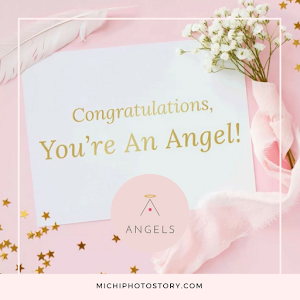 It may be an arduous task but I do encourage you to make your own itinerary and you will feel proud of yourself. 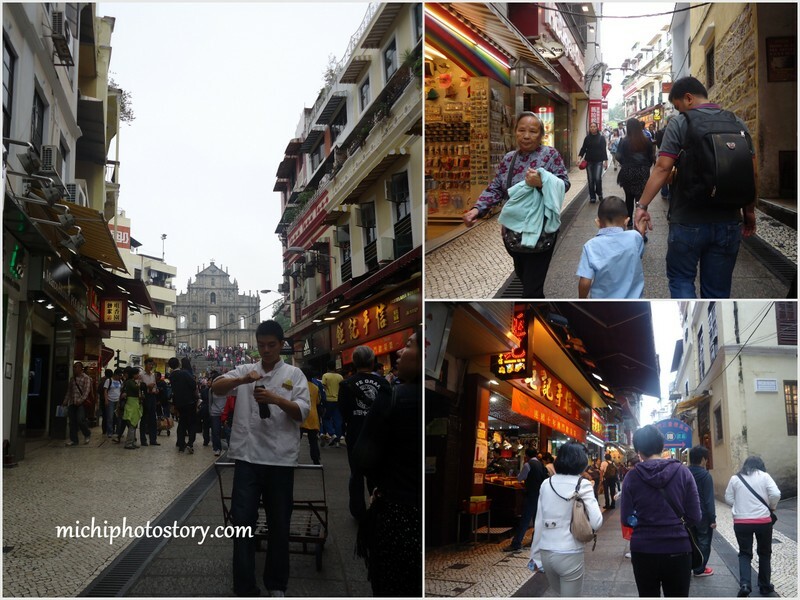 "A little step may be the beginning of a great journey"
I don’t have any list of must-try restaurant in Macau all I wanted is to taste their Lechon Macau so we eat whenever and wherever we want. During our first night, my husband bought food here. 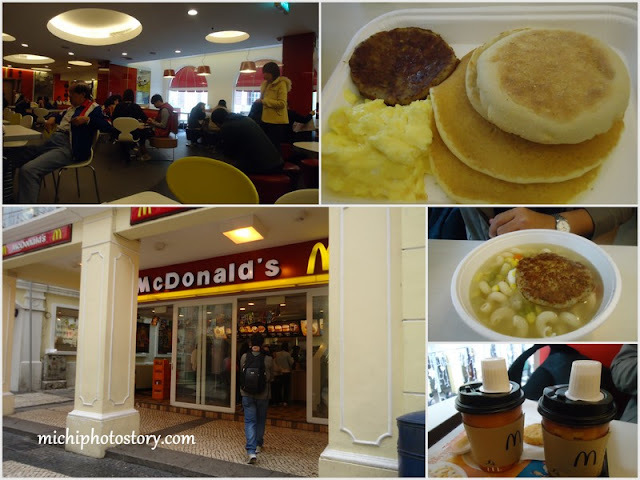 Second day, we took our breakfast in McDonalds and we took advantage the free taste on our way to Ruins of St. Paul. 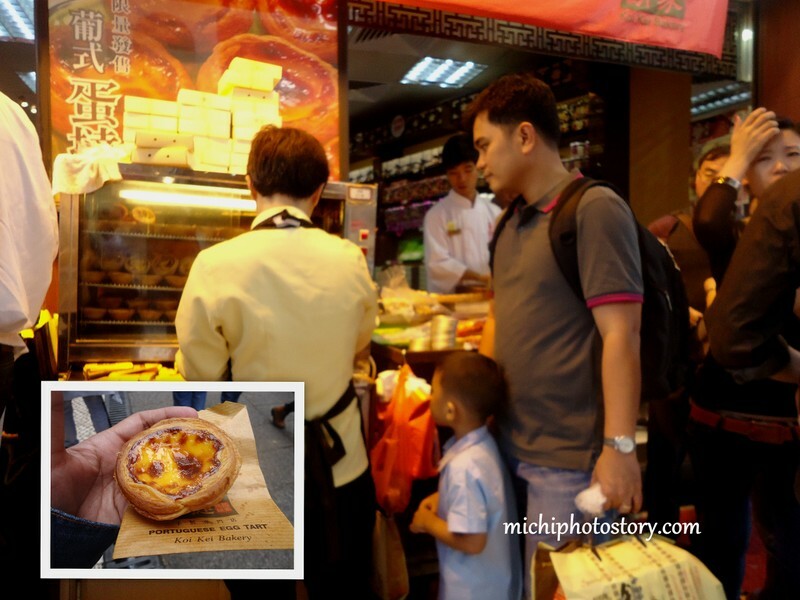 We tried the famous Portuguese Egg Tart is Pastelaria Koi Kei. We’re already full so we just bought dumplings here for our lunch and went back to Hotel. For dinner, we went to New Yaohan Mall to look for the food court so I could taste Lechon Macau but we could not locate it so we ended up in 7-11, they have rice meals which we like so the following morning, hubby bought rice meals in 7-11 for our breakfast. 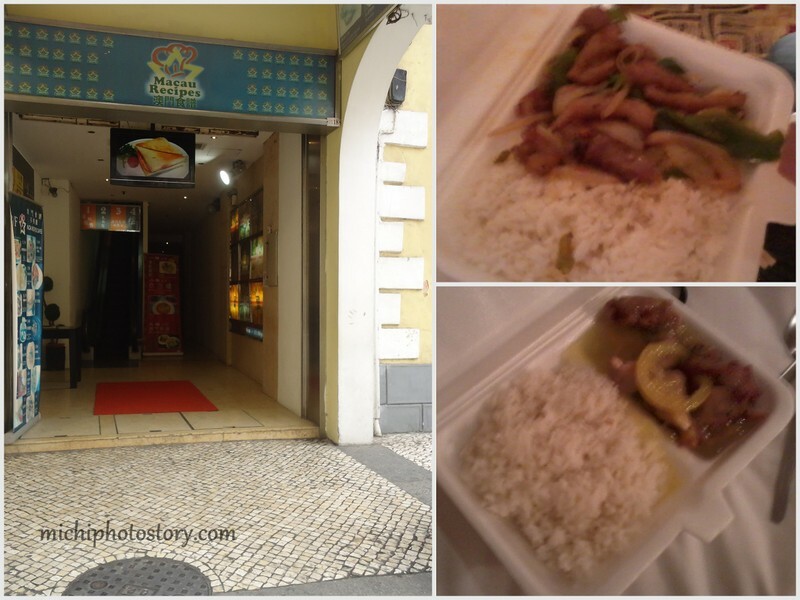 7-11 is few minutes’ walk from Hotel Sintra. 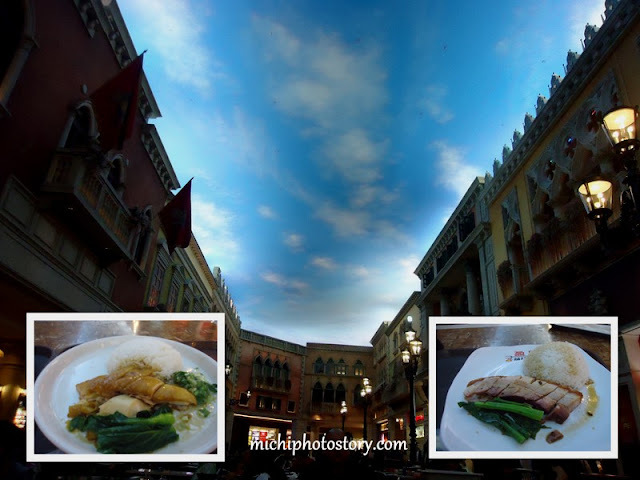 I finally tasted Lechon Macau in Venetian Hotel Fastfood. We bought Portuguese Egg Tart again but this time in Lord’s Stow Bakery and Café. 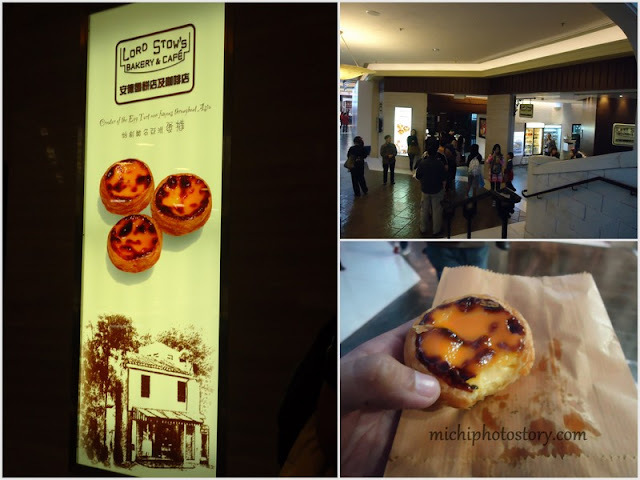 I have no idea that Lord Stow’s egg tarts have been available in the Philippines since 1999. They have branches in Madison Square, Banawe and MOA. #pambihira. 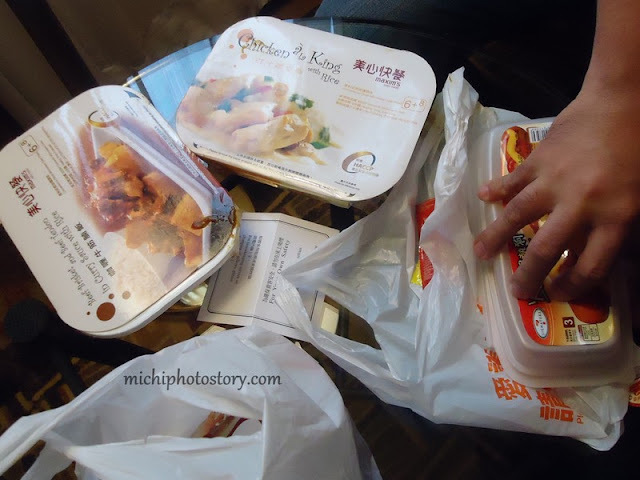 For dinner, we ate at the airport. 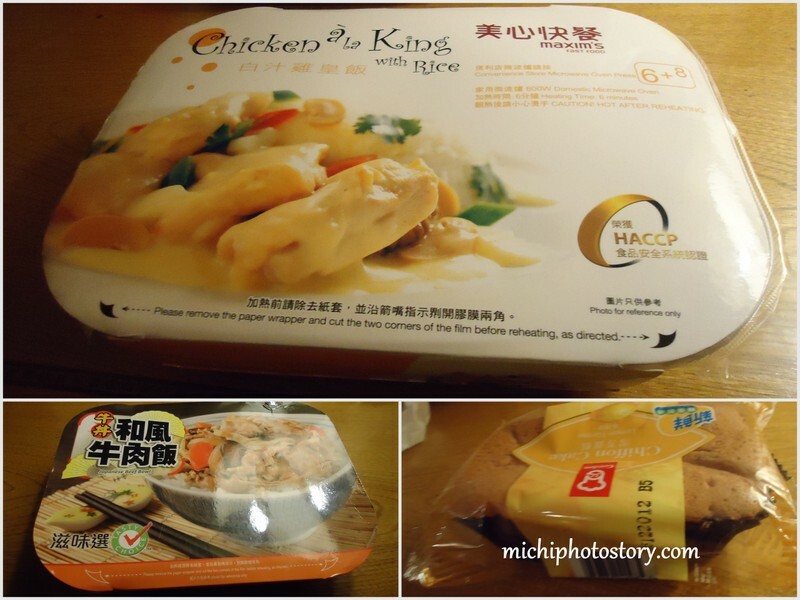 Macau International airport is not that big, so if you’re planning for Hongkong and Macau trip, book Philippines to Macau and Hongkong to Philippines because HKIA is big, there are so many restaurants and shops so you will not get bored while waiting for your flight. Why Should You Buy Baby Bibs Clothes and Baby Pacifiers Online? 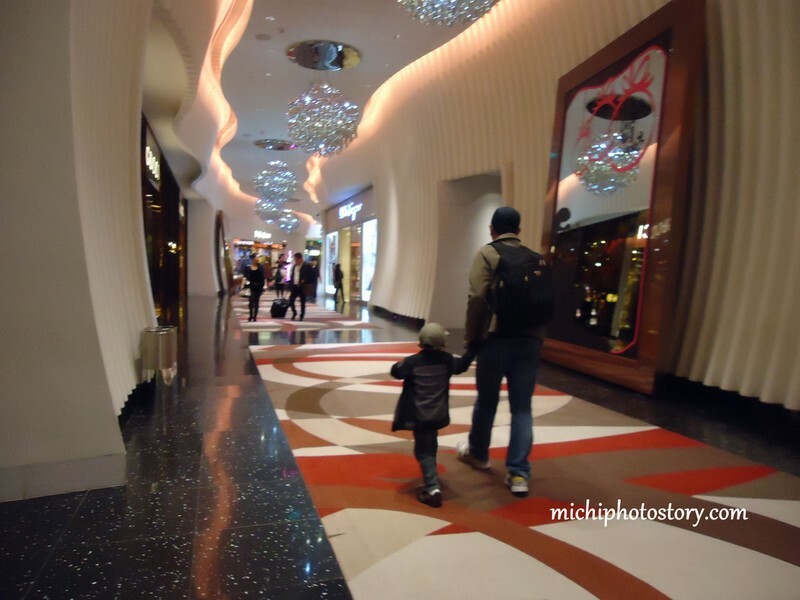 When it comes to babies, a mother should buy many things for the well-being of the child. Some of these things include baby bibs clothes and baby pacifiers. Well, the problem when it comes to buying these items is the process of looking. As you know, baby bibs clothes and baby’s pacifiers are part of a child’s wardrobe. These days, these items are found in different options and styles. Bibs cannot only be used to protect baby’s clothes, but they can also be used as decoration to a certain outfit. A long time ago, they were used by adults also. However, in today’s world, bibs are used to keep and protect the child’s clothes clean. Bibs are used to feed a baby and they can wear them from birth up until toddler age. As you probably know, baby bibs clothes are made out of plastic or material. Each material has its advantage over the other. For example, a plastic bib can be wiped clean whereas the material bib can be machine-washed. All you have to do is select the best and the one that you prefer. Baby bibs clothes come with a different mode of strapping. You will get them with Velcro, button or even string. These items feature a range of cute designs and colors for your baby. These items are found in a wide range of designs like long sleeved bibs, which they are advantageous in covering the sleeves of the clothes. However, these items go hand in hand with baby pacifiers. 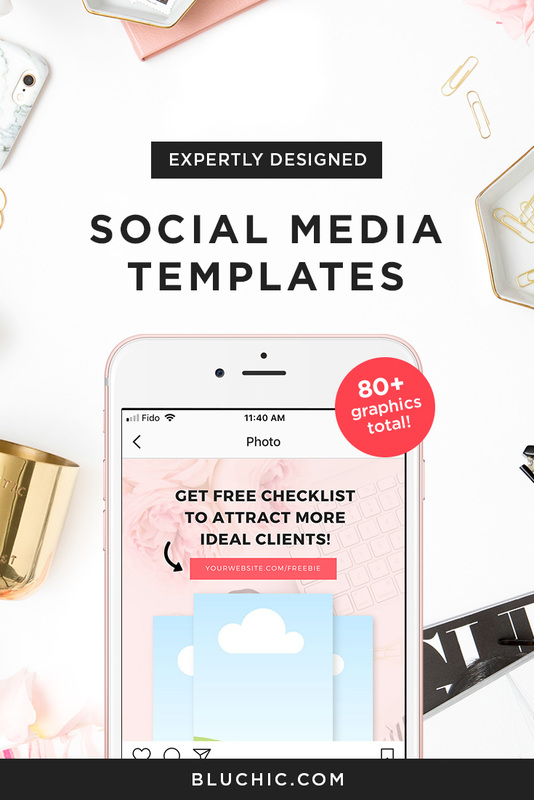 These items can be found in different designs, shapes and even funny. Pacifiers come in different colors also. Baby pacifiers are used to make the baby sleep out throughout the night. Moreover, they help parents to do something ease like working without the baby crying. In other words, it keeps the baby busy for some time until he gets hungry. Even though these items can be found in all leading stores across the globe, you can save that time by buying them online. You will get many benefits from buying these items online. First, you do not have to queue to buy these items; they are just a click away. 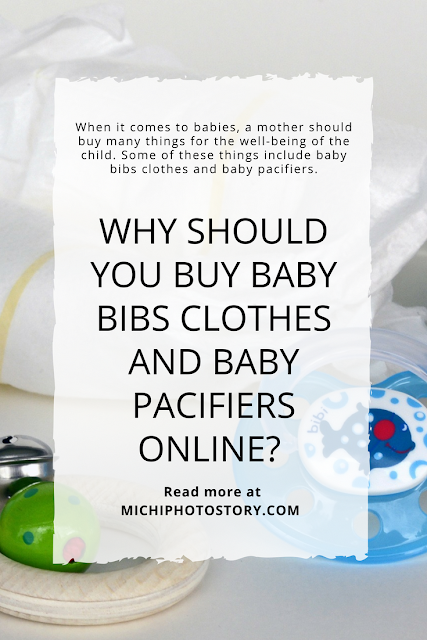 Below are the benefits that you are going to get by buying baby bibs clothes and baby pacifiers online. 1. Affordable prices: buying items online provides you with the quickest method to compare prices. Therefore, before buying these items, you can look around to look for the best and affordable product. 2. Best deals: online stores offer its consumers with better deals that will keep them coming back for more items. Remember, online stores are like normal and traditional stores. The difference is only the location. 4. Easily found online: baby bibs clothes and baby pacifiers are easily found online. All you have to do is search using the name of the product or item. 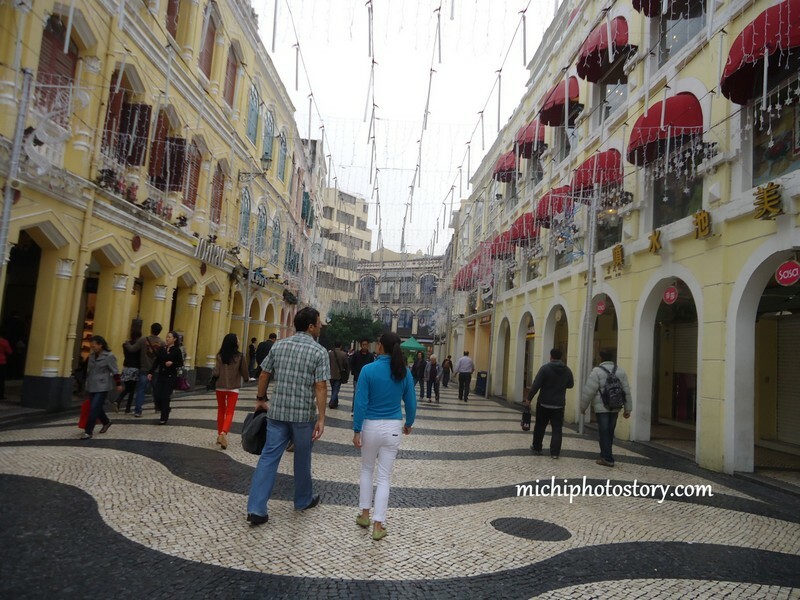 This was our last day in Macau so we still woke up early to finish our itinerary. 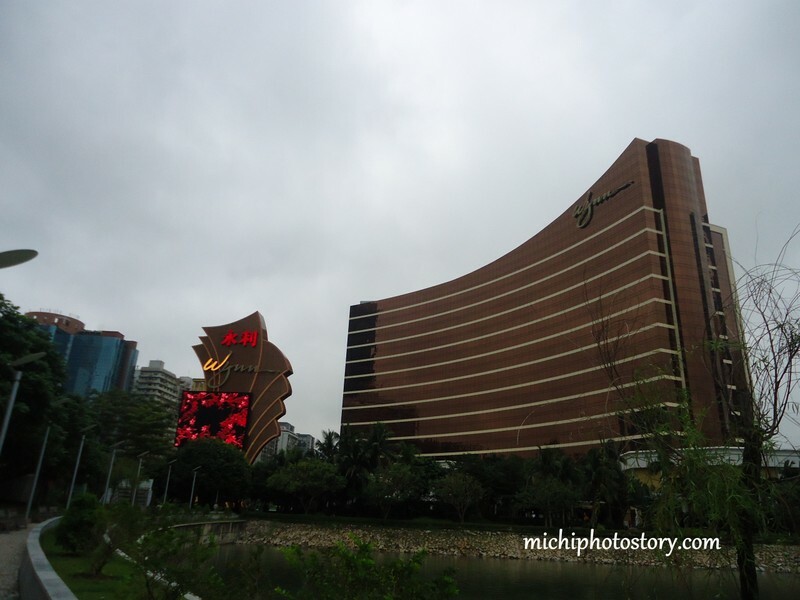 After our breakfast we went to Grand Lisboa Hotel and Wynn Hotel, we’re supposed to watch Prosperity Show and Dragon Show but unfortunately, it was under maintenance. SG: Ma’m balik na lang kayo. Me: Uwi na kami mamaya. SG: Balik na lang kayo sa Christmas. If I’m rich, I will definitely go back. hehe! 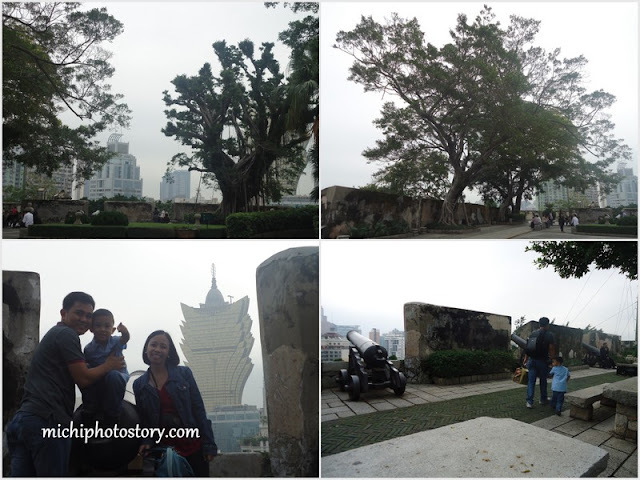 So we went back to Grand Lisboa to ride the free shuttle going to Macau Ferry Terminal. Next stop is Fisherman’s Wharf, it is walking distance from the Ferry Terminal. Then we went back to Hotel Sintra for check-out. You can leave your baggage after check-out but we did not leave our baggage because we know that other hotels have their own storage area. 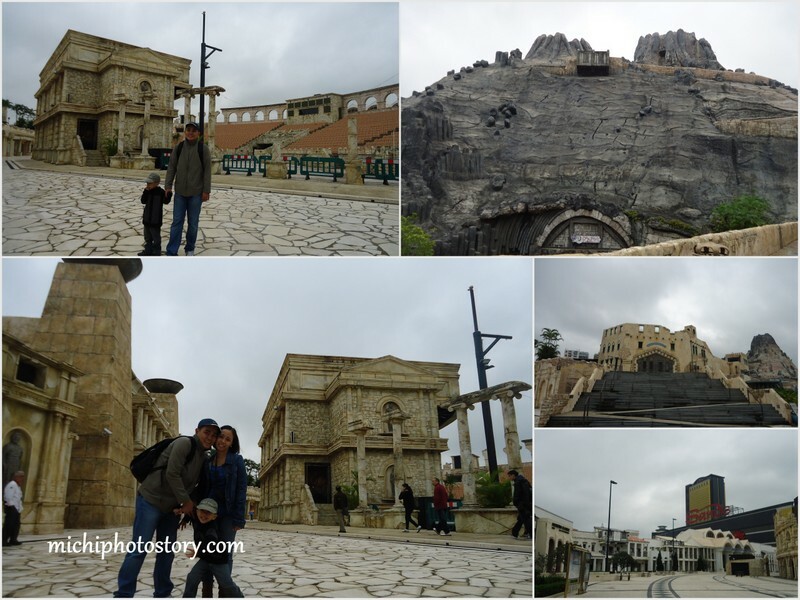 We took advantage the free shuttle bus from Hotel Sintra to City of Dreams. 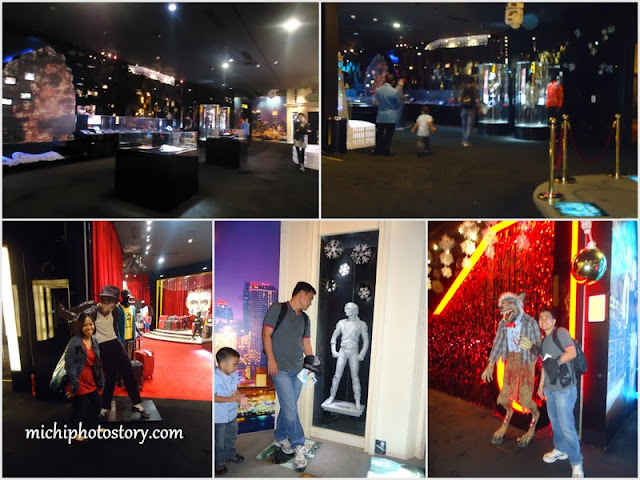 We left our baggage in City of Dreams’ cloak room and watched Bubble Show, this show is not free. MOP50 for adult and MOP25 for kids. 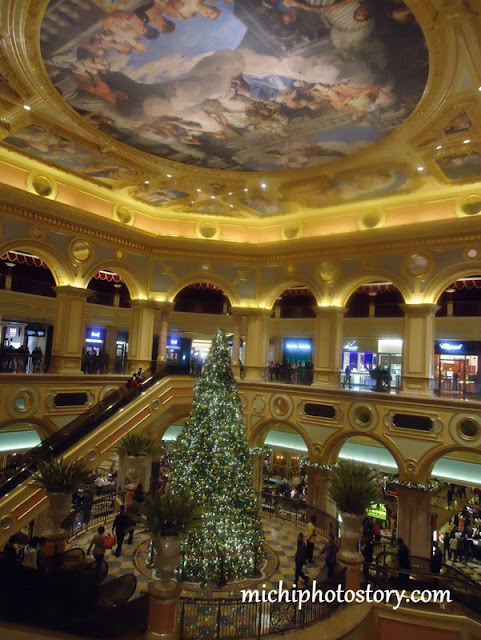 We’re hungry already so we picked-up our luggage and transferred to Venetian Hotel. Again, we took the free shuttle bus from City of Dreams to Venetian Hotel. 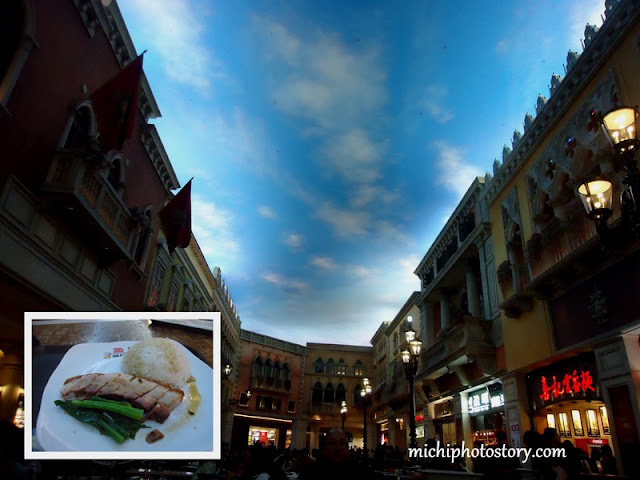 Finally, I was able to taste Lechon Macau. 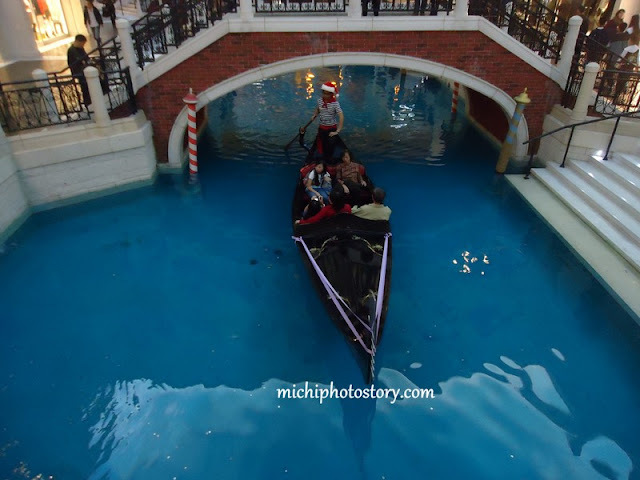 Venetian is quite big and sometimes we feel that we’re lost, good thing that there were so many Pinoy working in Macau, so may napagtatanungan kami. Pinoy Hotel Staff even gave as Venetian Hotel Map and assisted us in transferring our luggage from one storage room to main lobby storage room. From main lobby, we took free shuttle bus again to reach the Macau International Airport. We did not spend a single centavo in transportation. Thank God for the free shuttle bus. As I mentioned in my other post, we slept early but I promised myself that we will wake up early so we could start our tour. We started our walking tour in Senado Square; it is really walking distance from Hotel Sintra. 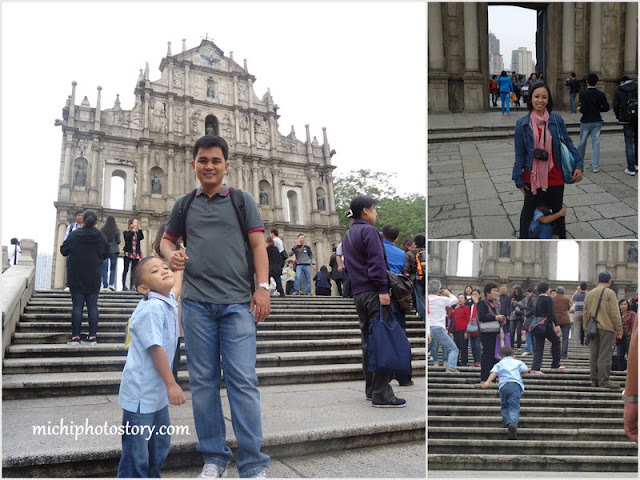 My son was not in the mood to walk so good luck to our walking tour. 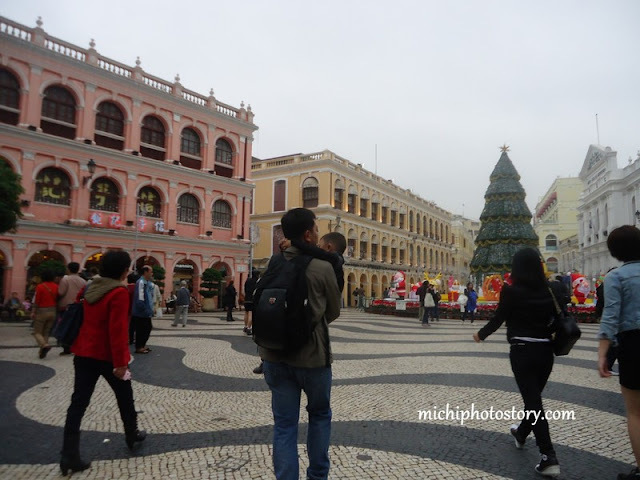 Largo do Senado (Senado Square) – has been Macau’s urban center for centuries and it is still more popular venue to public events and celebrations. 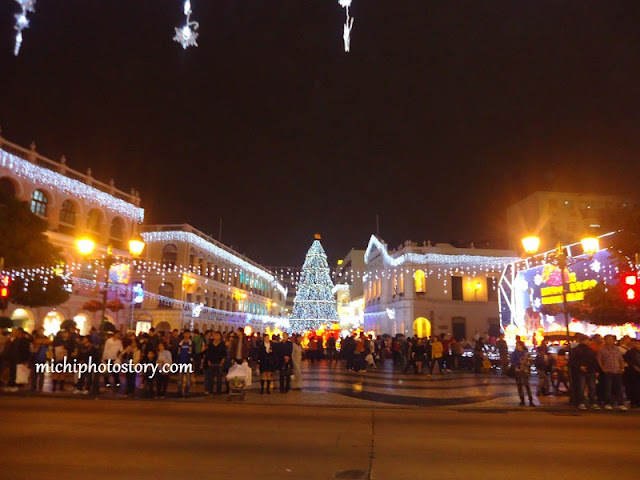 The square is surrounded by pastel-colored neo-classical buildings, creating a consistent and harmonius Mediterranean atmosphere. But before anything else we took our breakfast in McDonalds. 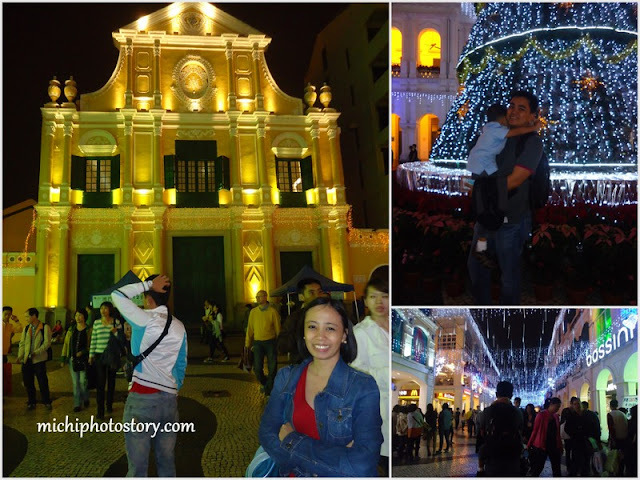 We visited some stores and St. Dominic Church. 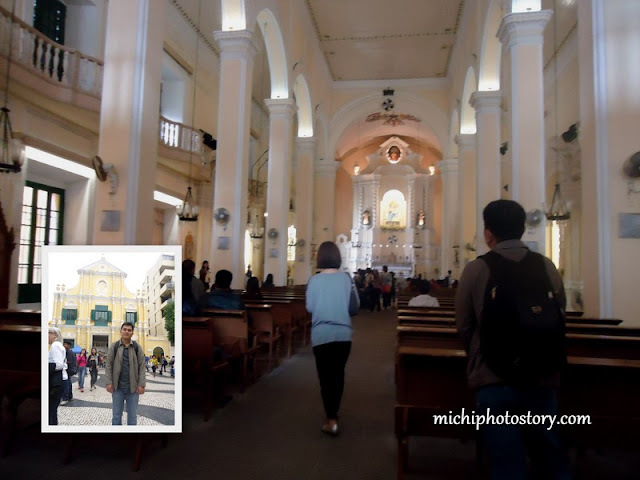 Igreja de S. Domingos (St. Dominic Church) – founded in 1587 by three Spanish Dominican priests who originally came from Acapulco Mexico, this church is also connected to the Brotherhood of Our Lady of Rosary. It was here that the first Portuguese newspaper was published on Chinese soil, A Abelha da China (The China Bee) on September 12, 1822. The bell tower at the back of the building has been modified in to a small Museum of Sacred Art, now exhibiting a collection of around 300 artifacts. 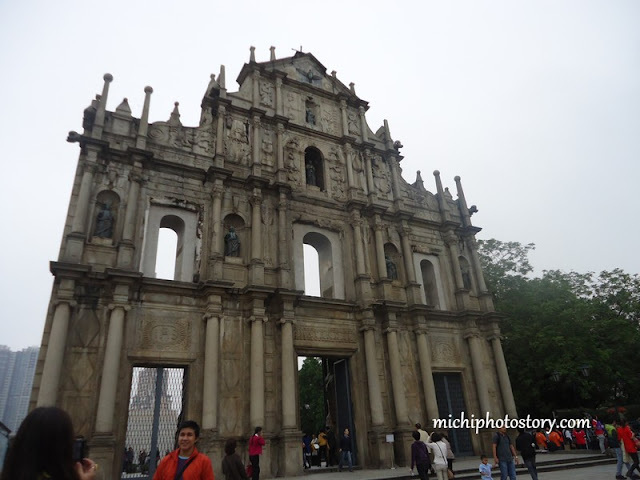 Don’t forget to drop by at Monte Fort and Macau Museum at the right side of Ruins of St. Paul. Fortaleza do Monte (Mount Fortress) – built in conjunction with the Jesuits from 1617 to 1626, this was the city’s principal military defence structure. The fortress was equipped with canons, military barracks, wells and arsenal that held sufficient ammunition and supplies to endure a siege lasting up two two years. 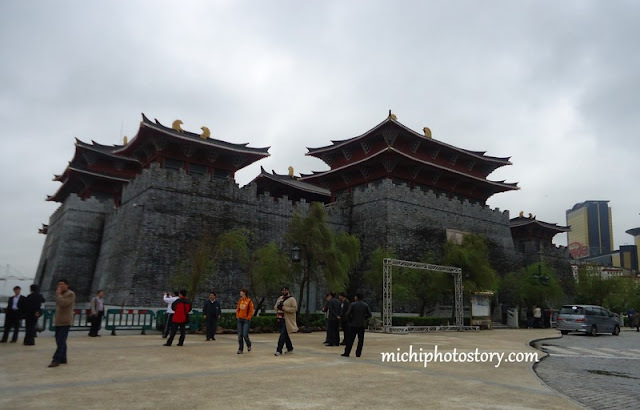 The fortress covers an area of 10,000 square meters in the shape of trapezoid. The four corners of the fortress protrude to form bulwarks. We wanted to visit Na Tcha temple but we can’t locate it and our feet is already aching so we decided to go back to our hotel and rest. 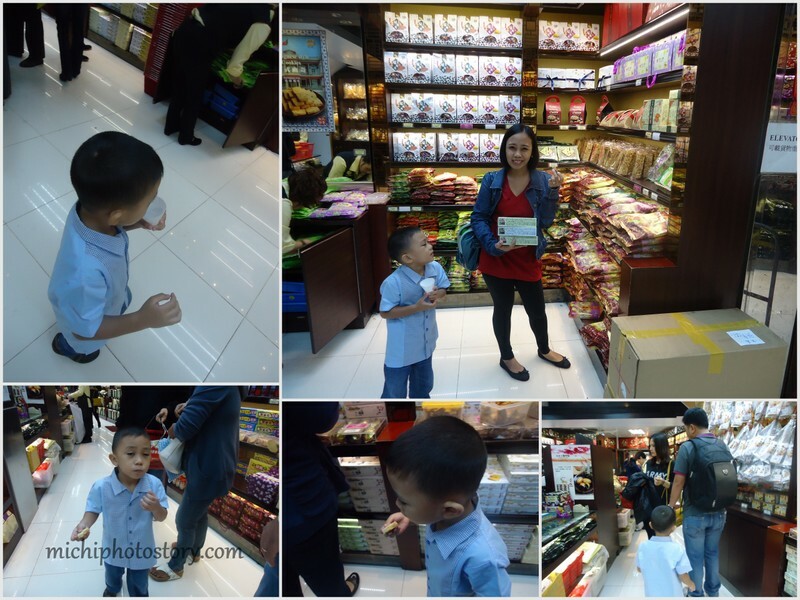 We bought pasalubong in Pastelaria Koi Kei. We enjoyed our free taste and free drinks. Sayang, no free taste sa egg tart. Hehe! After our rest, we went to Michael Jackson’s Gallery at Sofitel. 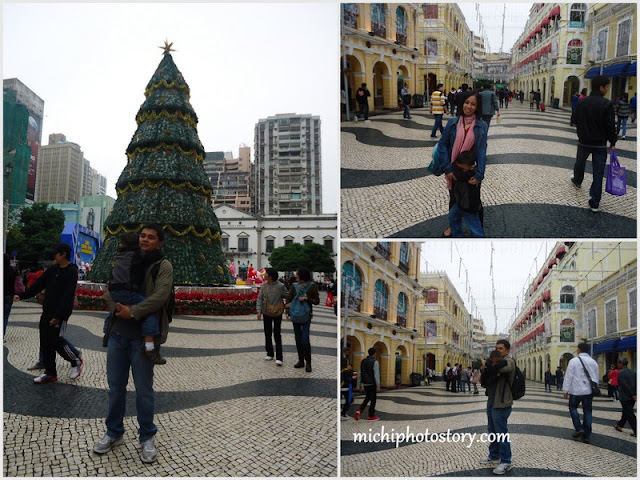 20-30 minutes of walking from Hotel Sintra. No entrance fee. Then we want back to Senado Square for night photos.